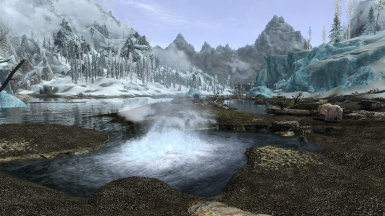 Adds 8 Hot springs to the Holds of Skyrim; each spring is different and all are ready to work with Frostfall as a heat source. No DLC required. Would really appreciate your endorsement if you enjoy and use this mod. Its a free product and giving an endorsement is a way to show you appreciate a modders work and motivation for future projects. Thank you, K.
Check out the nice video review by DonProtein that includes this mod! Click on the Video Tab above. Here is a link to the original File! 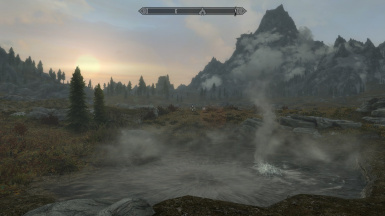 I love hot springs and I felt there should be more in Skyrim, as simple as that; the landscape is practically begging for more places like that and the Geology certainly justifies that there would be more than just one concentrated area of hot spring activity; Skyrim is shaped by seismic activity. Whether you agree or not with my reasoning I hope you will enjoy a dip alone or with followers, all springs are great places for a camp. 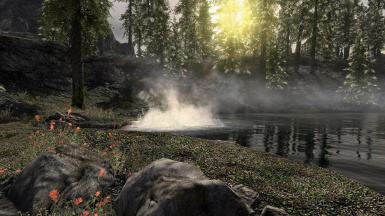 Besides Stonehill Springs by the mining camp of the same name there are now Ten other Hot Springs throughout the landscape; below are the locations listed, you can decide to stumble on them on your own with a hint from the Screen shots or search by location names. 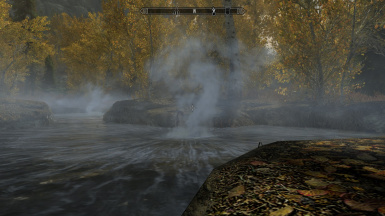 As this mod includes Stonehills Springs do NOT load both mods if you used a version of Stonehills Springs before! 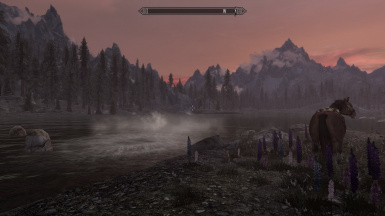 All Springs will work with older Frostfall versions but not the latest (pending update). 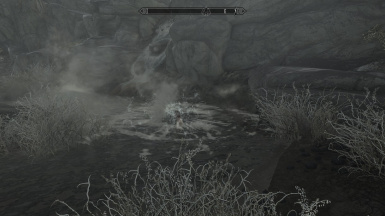 All springs have been equipped with a heat source that should be recognized by Frostfall. 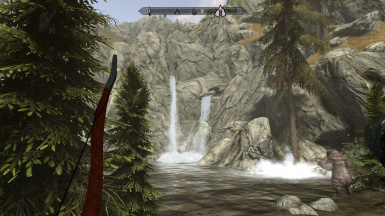 This mod should be compatible with most other mods, unless the same locations are used to build on. 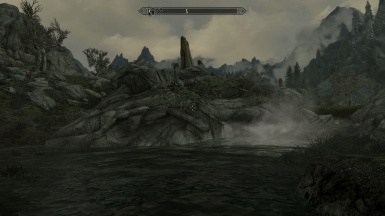 This mod has been cleaned with TES5Edit. 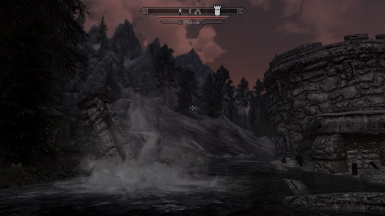 If you enjoy Hot springs you may also like my mod Highrothgar Shelters which places a hot spring on the mountain under a deep rock overhang; that mod you can use together with this one. 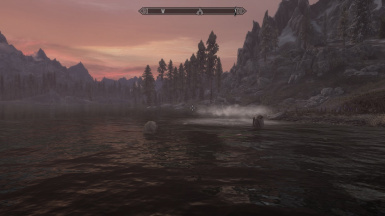 This mod has been cleaned and tested but you may use it at your own risk; always back up your save when trying a new mod in your load order! 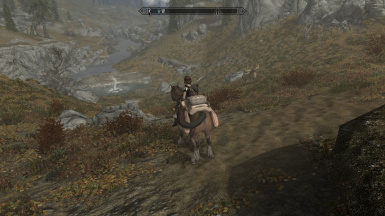 Thanks to Bethesda for this wonderful game.